Isn’t groundwater overuse sweeping away the crops in Karnataka? Karnataka is facing third consecutive drought in significant parts of the state1. The over-use of groundwater in past2 has left little water in aquifers to mitigate the impact of drought. A considerable portion of the state has already crossed the safe limit of groundwater exploitation3. In such scenario, the prudent use of groundwater could have saved the crops. State government takes several steps to prevent/mitigate such situations. Advisories have been issued to change the cropping pattern from water thirsty crops like Sugarcane and Paddy to Ragi4. Government has also started the cloud seeding program to provide artificial rainfall to save the crops. However, it is to be seen how effective the cloud seeding program is going to be in future5. Government monitors the health of aquifers periodically by classifying the aquifers into safe, critical, semi-critical and over-exploited categories. By the time, the status of an aquifer is known to the government, the health of aquifer might have changed, making the information unusable in short-term. The major challenge for the government is to assess the (over)use of groundwater in near real time that may enable the government to take proactive steps, rather than acting in fire fighting mode. The major cause of the lag between the status of the aquifer and its assessment is the use of traditional method of assessment, though it has its own value. 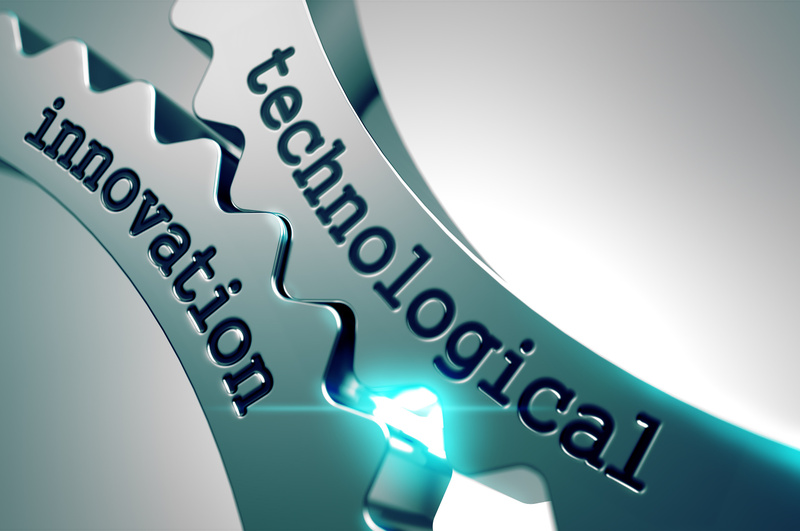 The use of advanced technologies e.g. Satellite remote sensing would provide vital information in near real time. To provide related information on the water available for crops and the (over)use of groundwater, Aapah Innovations is exploring the application of satellite data in this area. Figures here provides the status of soil moisture across the state for the current (Kharif-2017) cropping season using Satellite soil moisture estimated by merging data from multiple microwave remote sensing satellites which can see through the clouds. The figures depict the average monthly soil moisture for the month of June (above) and July-August (below) for the entire state at a spatial resolution of 500 m.
In June, the soil moisture is very low except few parts of North Karnataka. This might have impacted the sowing activities significantly. Situations remained nearly same during July which might have had impacted the vegetative growth of the crops. In August, a better rainfall provided enough soil moisture for the grain filling activity of the crops in several districts of the state. However, few other districts (e.g. 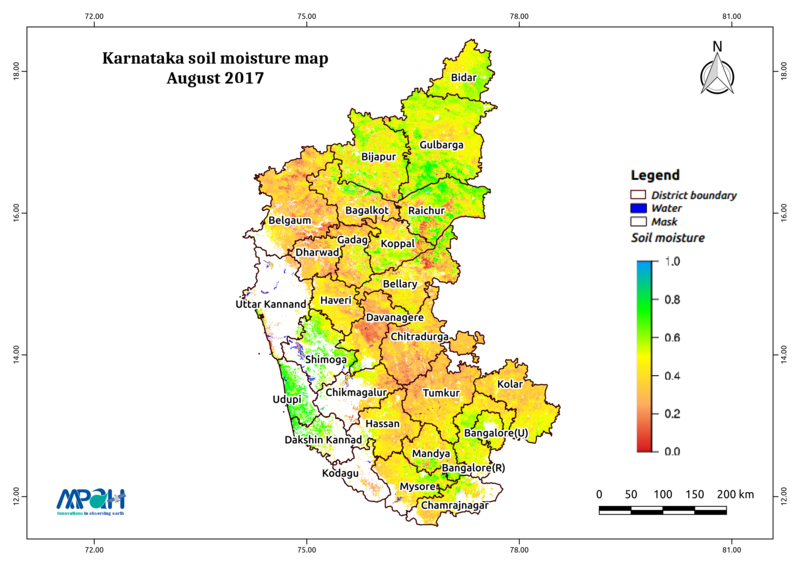 Belgaum, Dharwad, Chitradurga and Tumkur) still had a lower soil moisture. To know more about how crops in India are impacted by drought and how effectively the cloud seeding program is turning out to the crops, contact us.